Do you find accounting a chore? Do you know the difference between Profit / Loss and Balance Sheet statements? If you're like me and rather bathe your dog twice than reconcile your accounts, we have good news for you! We have a great Offer from XO Accounting that can help you conquer your inner accounting demons. The Unlimited support is a great feature of this package because you can use it to really get your business cranking. Many other accounting firms have a cap on number of calls you make! You can have all of these for $99 for the first month to really experience the difference. Take up the Offer and we will put you in touch with XO Accounting. They will discuss your accounting needs and perform the setup on Xero. XO Accounting will give you 2 hours of initial training on how to operate the system. You’ll then given the keys to your shiny new accounting system (training wheels provided by XO Accounting). XO Accounting will be there to give you a guiding hand should you need any help. They will help you to start billing and get through your first month-end on the new system. XO Accountants are a new breed of modern, online accountants, using the latest technology to make it easier, faster and more affordable to run your business or investment portfolio. Their aim is to reduce the amount of time you put in to your accounts, to give you time to run your business. That’s why they focus on giving you instant access to the clear, accurate financial information and expert business advice you need to help you operate more efficiently and profitably. XO Accountants are Certified Practising Accountants (CPAs) and Xero Gold Partners. 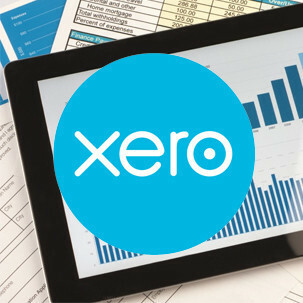 ONE month Xero Accounting Deal on ZIP Package (Xero accounting software, Annual tax return & accounts, Annual strategy meeting (online), BAS return and lodgement, Unlimited telephone and email support, Annual tax planning). Normally $275 inc. GST per month. BONUS: 2 hours of initial training on Xero. Normally $275 inc. GST per month. Maximum 1 Offer per client. Suitable for small and startup businesses ONLY. Offer is for setting up a new account and does not include migration / conversion from existing accounting packages. XO Accounting can provide instructions on how these can be performed if needed. Areas of Service: Meetings to be conducted via Skype, phone and email. SavvySME and Merchant reserve the right to revoke this Offer.